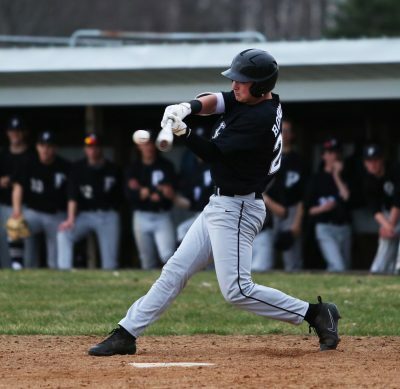 Brock Boynton smacked a grand slam and the Penn Baseball Team beat South Bend Riley, 9-1, on Wednesday, April 11, 2018. Brock Boynton went 3-for-4 with a double, a triple, and a home run. He was a single away from the cycle. Boynton finished with four RBI’s. Right-handed pitcher Hayden Berg threw 84 pitches with eight strikeouts and didn’t allow a walk. Berg only allowed one run. Payton Kerr had two hits and also stole three bases. He drive on one run. Beau Ludwick, Camryn Szynski, Jeff Pawlik and Ryan Lynch drove in one run each.